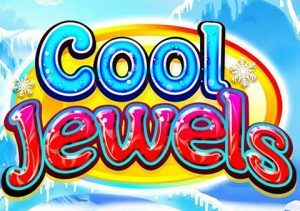 Looking more like a mobile or tablet app than a traditional game, Cools Jewels offers a fresh take on the mobile slot. Played using a 6 by 6 reel set, winning combinations are formed by landing lines of the same symbol horizontally or vertically. Helping you on your winning way are 4 special wilds, multiplier diamonds and a free spins feature. Play from between 50p and £200 per spin. Cool Jewels is certainly far removed from a classic fruit machine – in looks and playability, it owes more to social media apps than 1-arm bandits. Rather than paylines, winning combinations are formed by landing 4 of the same gemstone symbol either vertically or horizontally. There are 8 jewel symbols in all as well as a special diamond which can boost payouts with a 10x multiplier. After each successful spin, the winning symbols are blasted away and replaced by new symbols, offering another chance to create a winning combo. Joining the standard gemstone symbols are a quartet of wilds, each of which offers something a little different. Pink Unstable Wild – when this forms part of a winning combination, it will destroy all nine symbols directly connected to it. Blue Shattering Wild – this destroys all symbols in line vertically and horizontally. Green Shocking Wild – this blasts all the symbols diagonally from the centre (apart from the wilds). They’re all replaced and a new payout consideration is made. The cascading symbols keep on coming as long as there’s a winning combination on show anywhere on the reels. Better still is when 2 different wilds are next to each other in a winning combo – they can combine to deliver some potentially spectacular rewards. For example, when Exploding and Blasting Wilds land together you’ll see a pink watermark. Any symbols within the watermark will be blasted away on the next spin. Similarly, when the Exploding and Shocking wilds combine a green watermark is created with all the symbols inside it turning wild on the next cascade. A blue watermark which offers 10x multipliers on the next spin is created when the Blasting and Shocking Wilds combine. Add the premium diamond multiplier here and the payouts can quickly rocket. Cool Jewels also comes with a Free Spins feature which is triggered when at least 4 bonus symbols are destroyed. That will get you 8 free spins. Destroy 5 bonuses and it increased to 10 free spins. 6 offer 15, 7 give 20 with 5 more free spins on offer for every additional bonus symbol that is blasted. Games with a similar game engine are often low variance affairs – the volatility in Cool Jewels is slightly higher thanks to the combining wilds and multipliers. It’s sits somewhere in the low to medium range. If you’re looking for something that’s totally different to a traditional fruity, then you won’t go wrong with Cool Jewels. The unusual gameplay may take a little getting used to so a few spins in demo mode won’t go amiss. Once you get accustomed to the set-up, there’s much to enjoy. The gameplay is hypnotic and the visuals are rather lovely. The variance may not be quite enough for serious action hounds but for some gently paced fun that can still pack a decent payout punch, Cool Jewels is an icy gem. If you like jewels, there’s no better game than NetEnt’s Starburst.